Reminder – Book Costs May Be Tax Deductible. Book costs may be tax deductible in certain circumstances such as if delivered as client or customer appreciation gifts or if used for client or prospecitve client development. Please consult your tax advisor. 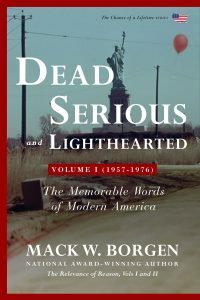 This entry was posted on Wednesday, April 4th, 2018 at 4:00 am	and is filed under Mack's Books, Special Offers. You can follow any responses to this entry through the RSS 2.0 feed. You can leave a response, or trackback from your own site.